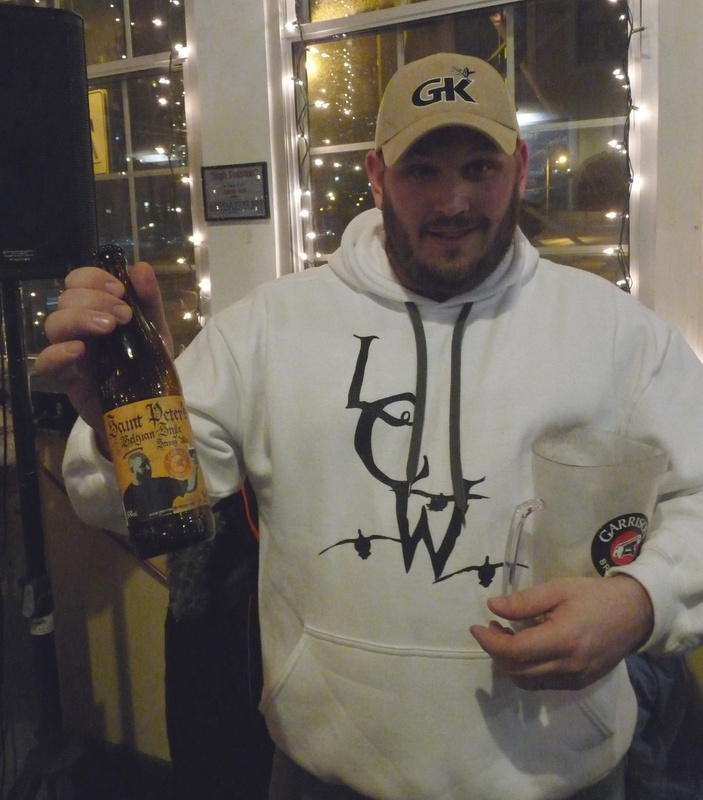 Friday Wrap-Up – Fredericton Craft Beer Festival Wrap-Up, plus news from TrailWay, Boxing Rock, Bad Apple, Big Tide, BarNone and many more! TrailWay Brewing had three new beers for the festival: Orbit Pale Ale is their regular-release 5.5% ABV Primetime APA hopped exclusively with the Orbit varietal, from New Zealand. Hugh John Hops, a DIPA, was brewed with a simple grist of 2-row and Munich malts, to let the hops shine. Weighing in at 7.3% and ~100 IBUs, the Cascade, Comet, and Apollo hops used provide lots of citrus and fruity characters, with a dry finish. It should be on tap now at 540 Kitchen & Bar, if you want to try it/have it again. Finally, Double-Double, a 6.5% ABV “Imperial Coffee Milk Stout”, features lots of roasted malt, lactose powder, and coffee from local Whitney Coffee Company; it also should be available soon at James Joyce Irish Pub. The Next Chapter, the collaboration beer brewed by Boxing Rock and former Picaroons head brewer Andrew “Esty” Estabrooks, was a huge hit! This 6.3% ABV Rye IPA was brewed with New Brunswick-grown malt, and highly hopped with Columbus, Mosaic and Simcoe. If you didn’t get to try it, good news – it’s still on tap at the King Street Ale House, and will be released at select ANBL stores very soon (if our sources are correct) in 650 mL bottles. Don’t miss out on this NB-release-only beer! More on The Next Chapter in our previous post here. Also officially launched at the Fest was Bad Apple Brewing’s Mosaic Double IPA. As mentioned previously, all proceeds of this beer will go towards ensuring any and all children will be able to attend the Down Syndrome Camp at Camp Brigadoon June 13-15. For those that want another taste of this beer (or try it for the first time), it is currently available at the brewery in Somerset in growlers and bottles, and will be on tap early next week at Tom’s Little Havana, Lion & Bright, Stillwell, and Stubborn Goat. Big Spruce debuted their newest beer, UnRYEvaled Chocolate Rye IPA. A dark brown, slightly spicy ale that was heavily hopped with Simcoe, Citra and Amarillo, it exhibited lots of citrus and pine in both the aroma and flavour, as promised! More on this beer from our write-up a few weeks ago. It should be available now at the brewery for growler fills, as well as at the Antigonish Winter Farmers’ Market tomorrow. Look for it on tap at better beer bars/restaurants throughout Nova Scotia, too. Big Tide brought their new Bavarian Lager, Bucht Bock. Brewed with 2-row and CaraMunich malts, this smooth, malty lager was lightly hopped with Hallertauer Tradition, a German-grown variety, to 25 IBUs. Coming in at a fairly-hefty 7% ABV, this beer will likely not be pouring at the brewpub, but will be making an appearance at next month’s Saint John Beer Fest. While BarNone had their three staples on tap (Summer Sessions, Pale Ale, and IPA), they also brought their brand new American Wheat. Brewed-to-style with a good portion of Wheat malt, this light-coloured and easy-drinking ale clocks in at 5.5% ABV, and is hopped a little heavier than normal for this style, to about 30 IBUs. Over $10,000 was raised from ticket sales and the FCBF Grunter Auction for the Canadian Diabetes Association; also, over $1000 was raised through coat check tips for the Nova Scotia Down Syndrome Society. For those of us who attended the fest, remember to cast your vote for Best of the Fest. Check your inbox for an email from Fredericton Craft Beer Festival (via Eventbrite), entitled “Thank You from Fredericton Craft Beer Festival 2015” for your unique link. Voting ends Sunday, so don’t delay! And great news for New Brunswick (and other Maritime province) beer fans, next year’s Fredericton Craft Beer Festival will be Fredericton Craft Beer Week! The tentative dates are March 9-13, with Beer Dinners, guided tastings, brunches, and other events all around Fredericton & vicinity joining the Saturday evening Festival. Of course, we’ll be sharing details once they are available, but best to mark your calendar now! • Speaking of New Brunswick beer events, the next NB Beer Tour has been announced: a May 16-17 overnight bus trip to Carleton-sur-Mer, QC’s brewery, Le Naufrageur! The bus leaves from the King Street Ale House in the morning, and then stops for lunch, sampling, and a brewery tour (all included in your ticket price) at Shiretown Beer in Charlo. The bus then continues on to Carleton, where folks can check into their hotel (just a 10 minute walk away from the brewery), and then meet at Le Naufrageur for more sampling, a brewery tour, and supper with the Brew Crew (all included). After an optional trip to picturesque Mont Saint-Joseph to watch the sunset, it’s back to the brewery for a concert (Dan Livingstone and The Griffintown Jug Addicts, tickets included) and a few more drinks. Leaving Carleton Sunday morning, with a lunch stop in Miramichi, will have folks back at the Ale House before 4pm. Tickets are $195 and $220 (quad and dbl occupancy, respectively), and are available online now. • In more TrailWay news, beer drinkers in Fredericton can expect to see another one-hop APA available through the city this weekend. Apollo Pale Ale is hopped with, you guessed it, the Apollo varietal (known for its orangey/resiny qualities); like their other APAs, it weighs in at 5.5% ABV. You should be able to find this one on tap now/soon at TrailWay’s newest account, The Blue Door. And they’ve got some new beers in the works, hopefully for next week… a new IPA, and their first Black IPA! We’ll have more info on these beers for you next Friday. And it looks like they’re beginning to experiment with casks, too, so expect more news on that end as well! • Tonight, Picaroons is once again holding a Tap Takeover at Plan b Lounge in Moncton, starting at 7 pm. All six taps will feature Picaroons beers, with one acting as a rotating “Stout” tap, where different versions of their Timber Hog will be pouring throughout the night, including one dry-hopped with Willamette hops, one infused with coffee, one with ginger, and a Chocolate Vanilla version. There’s no cover, and there will be live music from Force Fields and Heavy Doobie as well. The special Timber Hog varieties will also be available at the Picaroons Brewtique in Fredericton, beginning at 4pm. • Granite Brewery in Halifax has brought back their very popular India Pale Ale for the first time in a couple of years. It is a lighter IPA, weighing in at 5.5% ABV. The beer features a lot of Cascade and East Kent Golding hops for a solid bitterness, but is not over-the-top hoppy. It will be a staple in the Stairs Street Beer Store when it is released early next week, and at a few specialty tap locations around HRM for the Spring. • Pump House has re-released their Red Leaf Lager seasonal. Featuring a nutty malt character from a similar malt bill to their Fire Chief Red Ale but brewed using a lager yeast, this 5.0% ABV beer features a medium bitterness and is dry-hopped with whole leaf hops for additional aroma. It is available at all four ANBL Growler locations this weekend, and will be available at select bars and restaurants in NB, NS and PEI. • Garrison Brewing has released a brand new beer to their line-up, In Session ISA (India Session Ale). Though the beer is lower alcohol at 4.4%, there is still plenty of citrus and tropical fruit hop flavour and aroma packed into the small package, thanks to lots of El Dorado, Belma, and Crystal hops. The lighter body and lower alcohol will make this a truly sessionable beer. Look for it at the brewery and private beer stores now, and at the NSLC and on tap at favourite beer bars shortly. • Propeller Brewing has released the latest in their One-Hit Wonder series, Oatmeal Stout. With a hint of oats on the nose to complement the roast character, this 5.8% ABV beer is pitch black, not too bitter, and well balanced. 2 Row, Wheat, Chocolate, Oats, Black Prinz and Roast Malts make up the grain bill, with Willamette and Cascade hops delivering 29 IBUs. As with all of the OHW brews, the best place to buy the beer is in growlers at both the Gottingen St and Windmill Rd locations, with a few kegs available on tap around Halifax. 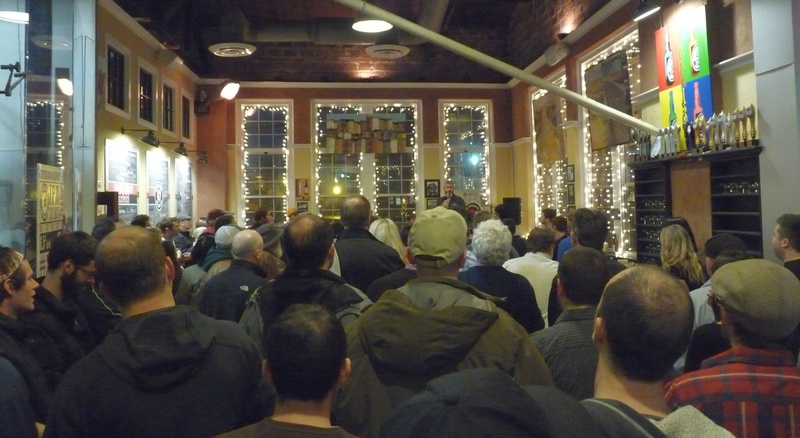 • Attention Homebrewers: The Brewnosers are hosting their first open homebrew competition! Open to all Canadian Homebrewers, and accepting all BJCP beer styles, this competition will also be a part of the Canadian Amateur Brewer of the Year circuit. Registration is now open, and beer samples must be sent/dropped off at the Noble Grape in Burnside before May 15th, with the judging taking place the next weekend. MAY 8 – Beer & Beethoven, 7pm at Halifax Forum Multipurpose Centre. The kick-off event for the Week, and Symphony NS fundraiser. MAY 9 – Open Brewery Day, all day. All member breweries will be open for tours, tastings, and other events. MAY 10 – The 2015 Stillwell Open, 12pm-2am at Stillwell (tickets sold out). Backyard BBQ Beer Tasting, served blind to attendees, with the best beer voted upon by the customers. MAY 13 – Beer Cocktail Face-Off, 7pm at Auction House. Bartenders will be creating their best Beer Cocktails, with live music accompaniment. MAY 14 – The Science of Beer, 6-9pm at Discovery Centre. A look at the science behind the design, creation, and enjoyment of our favourite beverage. Plus 12 beers from 6 local breweries. MAY 15 – Brews Cruise. Cruise the Halifax harbour on the Tall Ship Silva, while enjoying NS Craft Beer. Tickets available at Murphy’s Company Store. MAY 15 – Race the Kegs, 7pm, Gahan House. Collaboration brews from the North and South of the province will race to Halifax by sail, to be tapped at this friendly competition. MAY 16 – Full House Beer Fest, 12-3pm (tickets here) & 4-7pm (tickets sold out), Olympic Community Centre. All CBANS members together under one roof, for the first time ever. MAY 17 – Brewers Brunch, 11am-2pm, Stubborn Goat. A hearty brunch buffet and CBANS member beers will help to cure any hangover you might have from the previous days’ imbibing. Here’s hoping everyone has a great weekend! A reminder that tickets are still available for the Moncton Beer League New Brunswick Craft Beer Dinner at Legends Restaurant (Moncton Coliseum) March 21st, 6-11pm. After being closed for two weeks for renovations, Yarmouth’s Rudder’s Sea Food Restaurant and Brew Pub re-opened this week, just in time for Tuesday’s St. Patrick’s Day celebrations. Speaking of which, St. John’s Yellowbelly Brewpub has released Paddy’s Pale Ale this week (details here), with bottles at the brewery and NLC available this weekend. Piez Bistro (Cole Harbour) is celebrating Pi Day Saturday with Pizza and Craft Beer pairing all day. 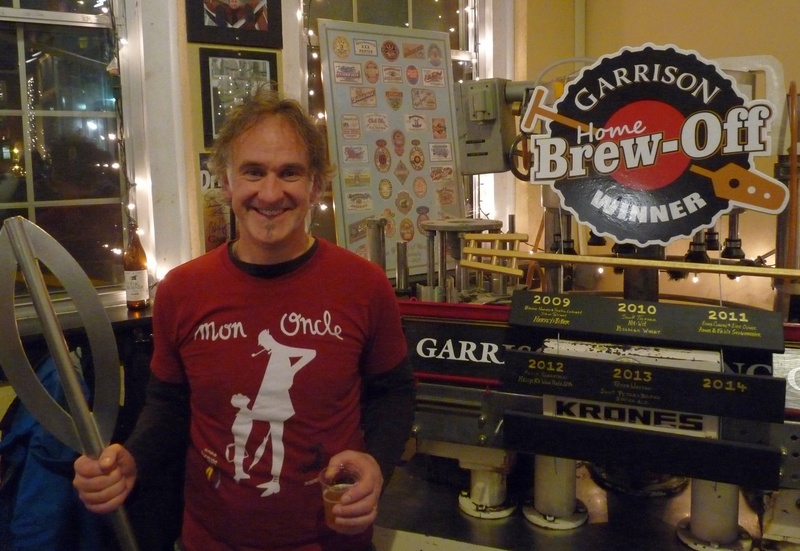 Look for Boxing Rock, Garrison, North and Tatamagouche beers to be paired with their creations. Petit-Sault’s Phémie-la-Bootlegger, the 4.6% Maple Brown Ale brewed as part of the Pink Boots International Women’s Collaborative Brew Day initiative, is on at the ANBL Growler program province-wide this weekend. The Coast’s annual Beer Guide was released this week… grab it for articles on three upcoming HRM breweries: Spindrift, Unfiltered, and Wrought Iron; Angeline MacLennan (the Maritimes’ only Certified Cicerone); Homebrewer Rob Shortt’s Basement Brewery, and much more.